Have you enjoyed your time working with Douglas INFINITI? Let your family and friends know, and we’ll reward you with a $250 referral check as our way of saying thanks. 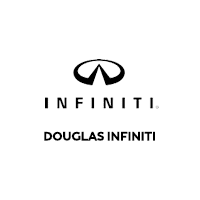 If you refer Douglas INFINITI to a friend, you’ll be eligible for a $250 referral check when they buy one of the INFINITI cars or SUVs on our lot. How Do I Claim the Referral Check? Just fill out your friend or family member’s information. If the referred customer buys an INFINITI from us in the next 30 days, you’ll be eligible for the referral check. Please allow up to two weeks after the car was purchased to receive the card. Questions? Reach out to our team by phone or through our website.